Last week Tesla CEO Elon Musk announced the fully electric Tesla Semi at an event hosted at Tesla’s Design Studio in Hawthorne, California. 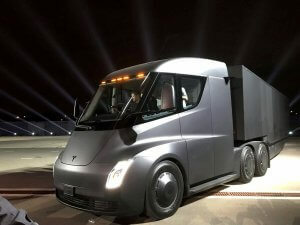 The trucks are scheduled to be out by 2019 and despite much skepticism about Tesla being able to deliver on their promises, the pre-orders are already rolling in. Within a day of the announcement, Walmart was reported to have pre-ordered 15 of the new semi trucks to add to their fleet of 6,000 trucks. A few other fleets have jumped on the publicity machine as well and will be piloting their own testing over the following years. 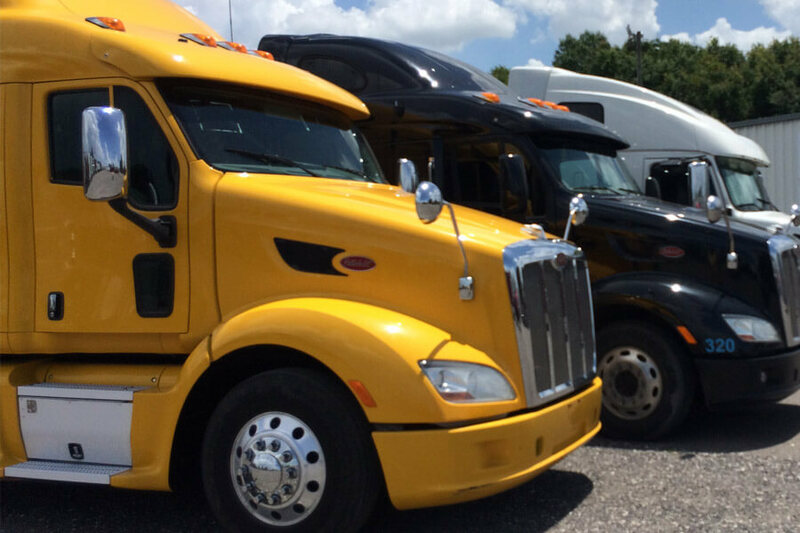 But what does this mean for Owner Operator Trucking? 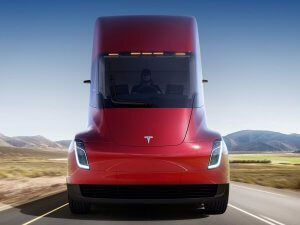 Do you think Tesla will be a major player in the trucking industry or is this just a publicity stunt for Tesla to raise its stock? Regardless of what you believe, the story as of now is that these trucks will be on the road by 2019, which is about a year before some of the competition’s projections of 2020. Before we get into all the skepticism around the production of the Tesla truck, let’s take a look at the design. The design of the truck is its biggest selling point. That and the fact that if you have one on the road branded with your company logo, it’s going to be quite the moving billboard. The other interesting selling point is Tesla’s 1 million mile guarantee. Musk was also quoted saying that there would be a significant cost per mile savings compared to operating a diesel truck. 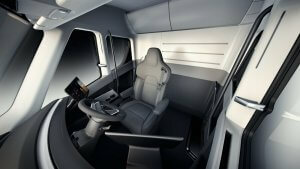 The inside of the cab is designed like the McLaren F1 sports car with the driver seat in the middle of the cab. The inside cab is 6’6” tall, so standing up inside will not be a problem for most people. 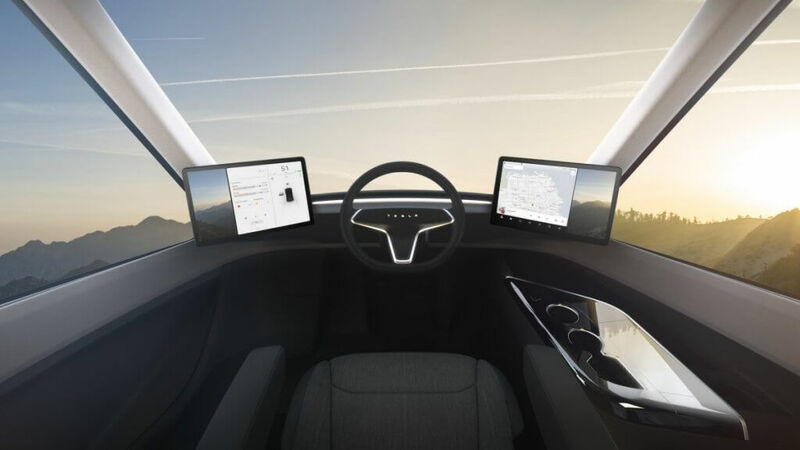 The driver’s seat has two 15-inch touchscreens – one on each side of the steering wheel. These are for monitoring blind spots, handling navigation, and data logging. Some of the other highlights of the design are centered on the safety of the vehicle. The battery is reinforced and will reportedly not catch fire or explode in a crash. The windshield is armored. The truck even has an anti-jackknifing system. The enhanced Autopilot system enables the truck to drive itself on highways with the help of radar, cameras, and sensors all over the vehicle. Charging might very well be the biggest limiting factor in rolling out a fully electric truck. For many anyone who knows anything about owner operator trucking, a 500-mile range simply won’t do. Even though Musk proposes adding charging station infrastructure for charging back up within 30 minutes, this would still require drivers to be stopped for longer periods of time compared to operating a diesel truck. The other thing to consider is that people that put money down on a high tech car of the future belong to a completely different market than that of the trucking industry. 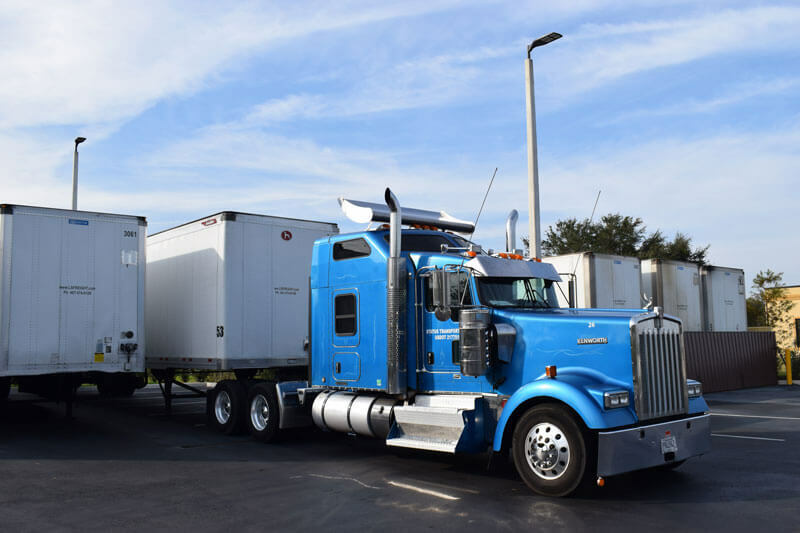 Truck drivers are often looking for the highest paying owner operator jobs which go hand in hand with the total cost of owning the truck and trailer. So, even though Tesla’s truck might offer immediate fuel savings, this will almost certainly not offset the upfront cost of the truck. There’s a pretty huge argument for climate change in the trucking industry. Trucks may be outnumbered on the road, but they account for a large percentage of emissions. And while saving the world may not pay your bills – especially in the world of Owner Operator Trucking – it’s been a big part of Musk’s vision. The only part of this conversation that might be grounded in reality points back to the production of Tesla’s Model 3, which still has close to half a million pre-buyers who might very well be still waiting for their cars until the first Tesla Semi Trucks hit the road in 2019. 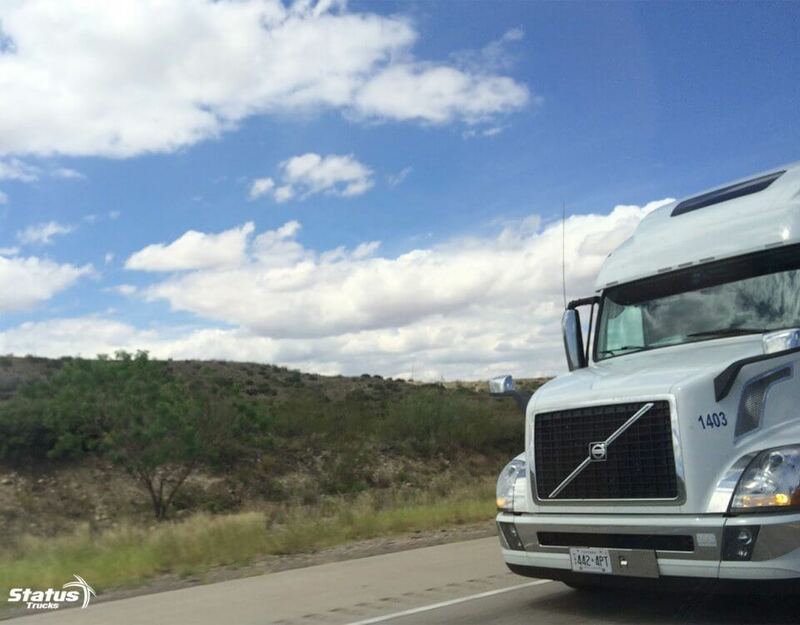 Trucking innovation as it relates to owner operator trucking is a topic we’re following very closely here at Status Transportation. Stay tuned for more tech talk!